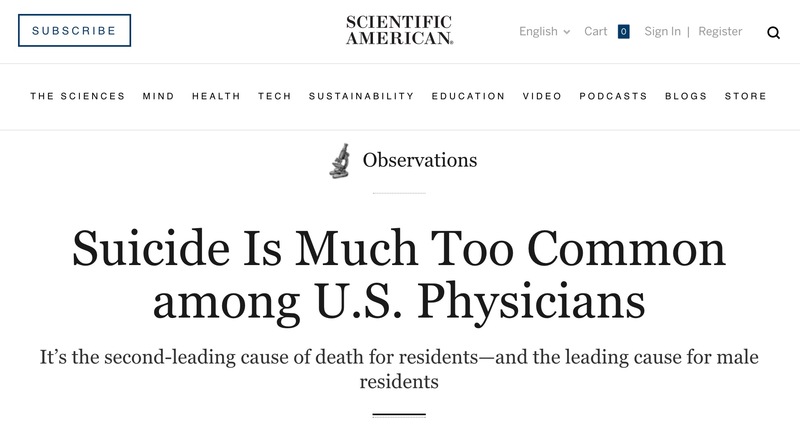 The post published online in Scientific American begins with startling statistics; suicide is "It’s the second-leading cause of death for residents—and the leading cause for male residents." The stats, produced in a recent study in Academic Medicine, are followed by an important caveat from the author, Nathaniel P. Morris, a psychiatry resident at Stanford University School of Medicine. Morris writes, "Although suicide was one of the leading causes of death among residents, the rates of suicide for residents appeared to be much lower compared with the general population. For people aged 25 to 34, when doctors are commonly in residency training, the odds of suicide among residents were about one fourth that of their age-matched peers." The author continues, delving into the diverse experience of mental illness and suicide rates among medical students, residents, and physicians, with the aim of establishing a more nuanced understanding of suicide at different stages of the medical profession. In doing so, Morris references a paper from Katherine J.  Gold, M.D., M.S.W., M.S., assistant professor of family medicine and obstetrics and gynecology, that leveraged a large data set from the United States National Violent Death Reporting System to illuminate new details on the experience of physician-specific suicide--include stressors, mental health variables, demographics, and suicide methods. The study was published in General Hospital Psychiatry in 2012. The Scientific American article builds on previous editorials from Nathaniel Morris. In a Washington Post editorial from January 2017, Morris revealed his personal connection to the issue, with his mental health struggle and his reasons for concealing the struggles as a medical student and resident. In that piece, Morris also relied on recent work from Gold, a paper entitled "'I would never want to have a mental health diagnosis on my record': A survey of female physicians on mental health diagnosis, treatment, and reporting" published in General Hospital Psychiatry in December 2016. That paper ranks in the top 5% of all research scored by Altmetrics (over 8.1 million research papers).